CHECHESMITHNATION : Kanye West's Yeezy 950 Boots Is For The Big Ballers Like Jlo! 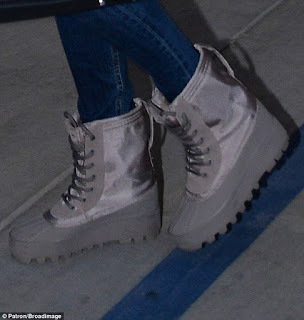 Kanye West's Yeezy 950 Boots Is For The Big Ballers Like Jlo! Mother of two Jennifer Lopez, was spotted rocking this grey pair of Kanye West's, Yezzy 950 boots, worn with a fur cropped coat on a blue skinny jeans and her handy designer black bag.